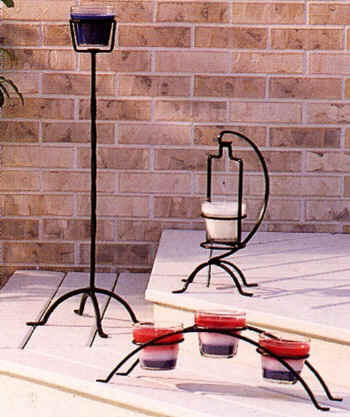 Fulton Square Wrought Iron Candle Holders and Votive Holders are perfect indoors and out. Designed to be both durable and attractive, they'll softly light a backyard barbecue, or light your hearth on those nights that are a bit too warm for a fire. 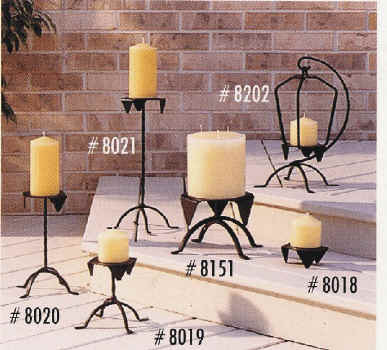 Individually or in groups, your good taste will echo in the simple charm of there candle holders. Fulton Square Premium Candles are handmade with the highest quality ingredients. Many things are important when you are choosing a candle. Two of the most important are burn time and scent content. 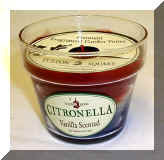 Fulton Square uses a very high quality wax and wick to create very long burning candles. Our scent percentage is higher than most every store bought candle you can buy, providing an even, strong scent though out the life of the candle. This elegant collection of candle accessories will attract a lot of attention. Hand-crafted with care and coated to withstand the elements.